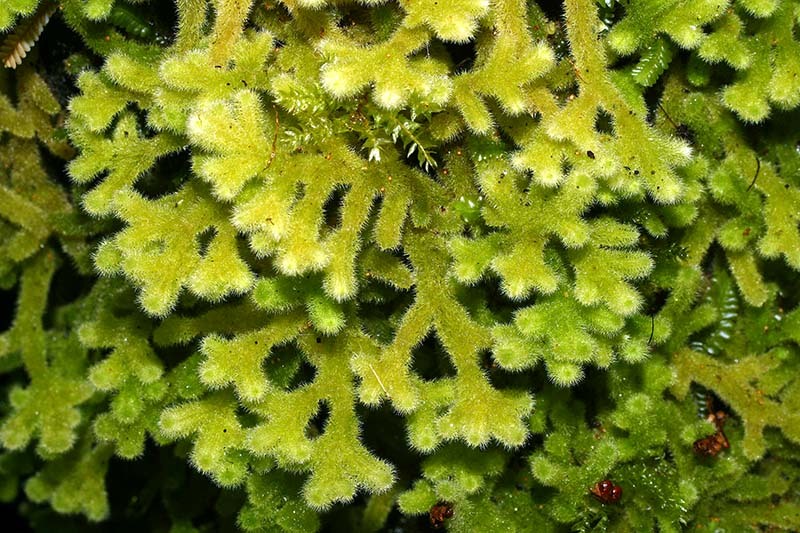 Leiomitra lanata (syn., Trichocolea lanata). 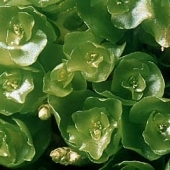 The stems are up to 5 cm long and irregularly branched. Leiomitra lanata (syn., Trichocolea lanata). Branches have overlapping ciliate leaves giving this species its furry apparance. Leiomitra lanata. A detached leaf subdivided into numerous, long ciliated segments. Leiomitra lanata. The partly-developed stalk (seta) of a sporophyte can be seen emerging from a bud-like structure (coelocaule). 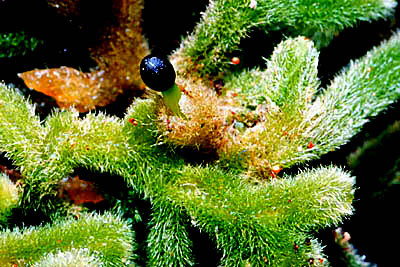 Trichocolea mallissima. Stems are up to 7 cm long and bear successive pairs of branches in a herringbone fashion (pinnate branching) creating a frond-like appearance. 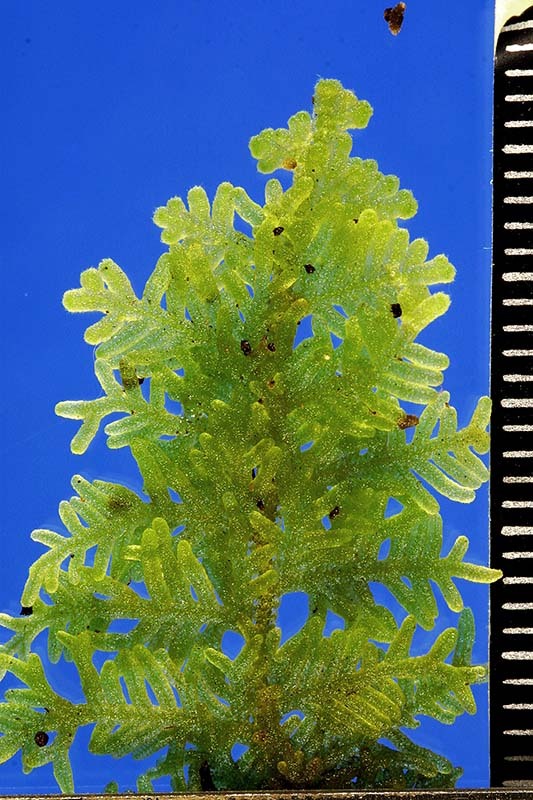 Trichocolea mollissima. 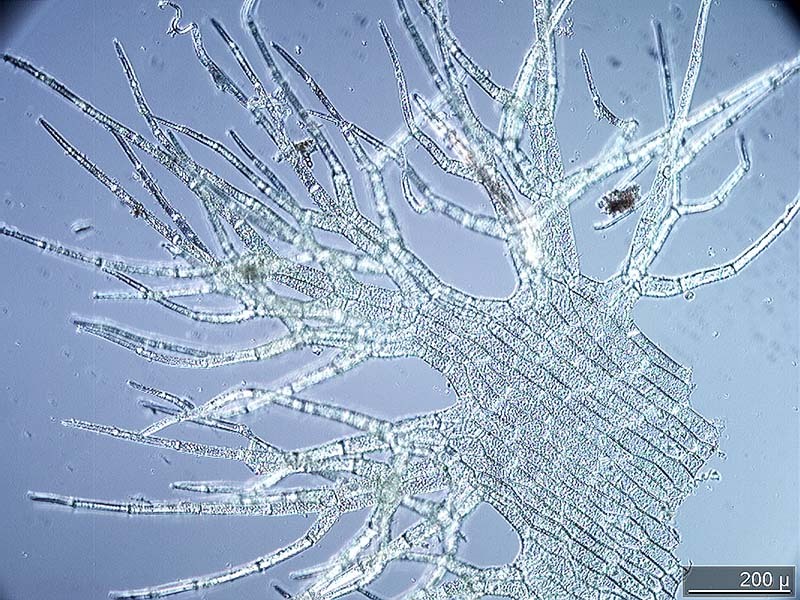 Each branch is enclosed by a three-dimensional lattice of ciliate leaves. 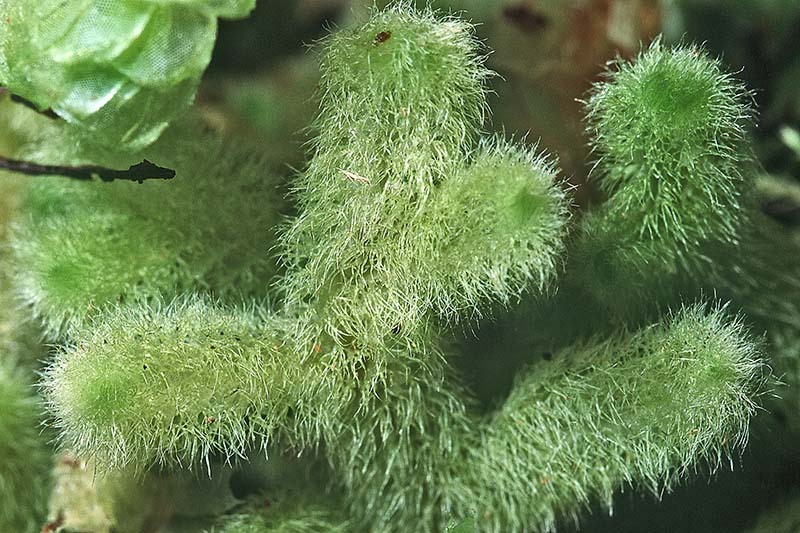 Leiomitra and Trichocolea have finely-divided leaves bearing numerous fine hairs (cilia). 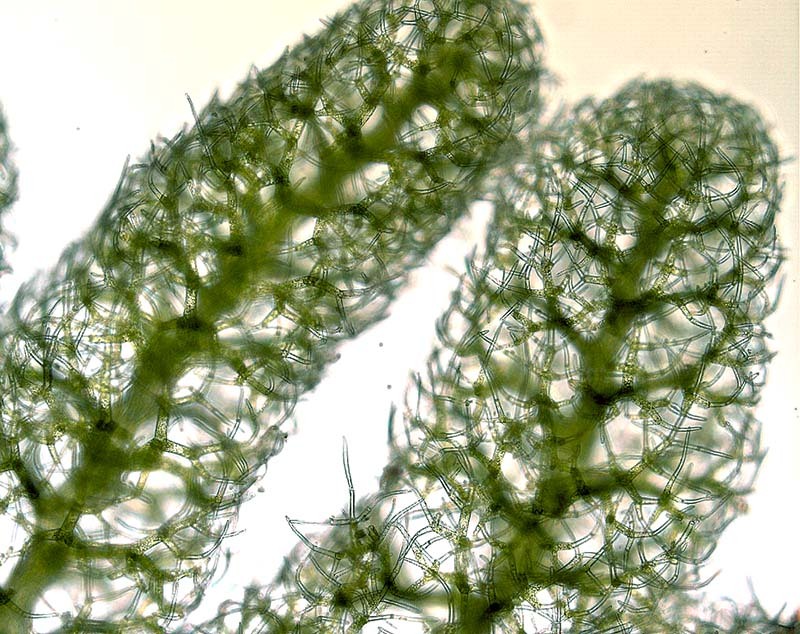 Ciliated leaves also occur in other liverwort families, e.g., Lepidolaenaceae, Schistochilaceae.